With rich industry experience & knowledge, we have been able to provide the best array of Feldspar Ore.
We are offering a huge spectrum of Potash Feldspar Powder. Apart from this, these products are prepared at our well-equipped infrastructure unit. We hold expertise in offering high quality of Feldspar Lumps. This finds wide application in glass and ceramic industries, in the preparation of glazes and enamel. The Feldspar offered by us is free from impurities, which exhibits excellent chemical properties and is processed and refined using latest machines and advanced technology. To accomplish the numerous requirements of the clients, we are engaged in providing a high quality range of Natural White Soda Feldspar Lumps. We have our own mines in Rajasthan and Hyderabad here in India and can offer you A Grade lumps with K2O 12 pc in size 0-200mm. We can do Containerized as well Break-bulk consignments upto 20000 MT. If you are looking for purchasing qualitative and cost efficient Feldspar Lumps, contact us today!Counted amid the prominent names, we are making available world-class array of quality-centralized products from Kolkata(India). Manek Group offers Feldspar comprises a group of minerals containing potassium and sodium. The common feldspar is potassium feldspar. Manek Minerals is mainly manufacturing MPF-Spar and MSF-Spar for CERAMICS (Vitrifying –Fluxing Agent), PORCELAIN, GLASS and ABRASSION applications. The above grades are available in Lumps, Granules and powder form. 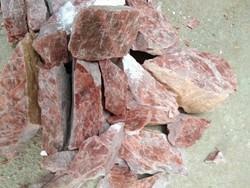 We are specialized in providing supreme quality potash feldspar lumps. 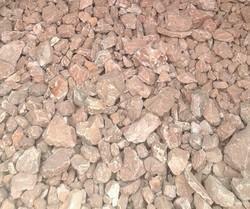 We are well reckoned for delivering high quality potash feldspar lumps to our clients within stipulated time frame. Our clients can avail potash feldspar lumps at affordable price range from us. Feldspar Lump is one of the most abundant rock forming minerals in the earth's crust, mainly used in ceramic, glass and cement industries. A minor quantity of feldspar is also consumed by Refractory, Tiles, Abrasive and Electrode industries. Our clients can avail Feldspar in large amount from us to make sure that the industrial requirements of our clients are easily met. The offered product is tested on a variety of parameters during and after processing to make sure that these remain intact with the industrial standards. These are also an essential component of igneous rocks.